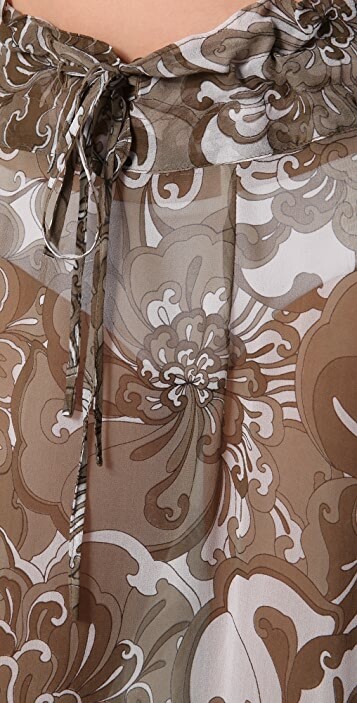 This print silk-chiffon cover-up skirt features 2 drawstring ties at the waist. Sheer. I knew this was going to be long as I'm only 5'2, but it was definitely longer than I anticipated! Still cute nonetheless. I will be wearing it a lot this summer. Light and flowy- just the kind of material you want on a hot day.